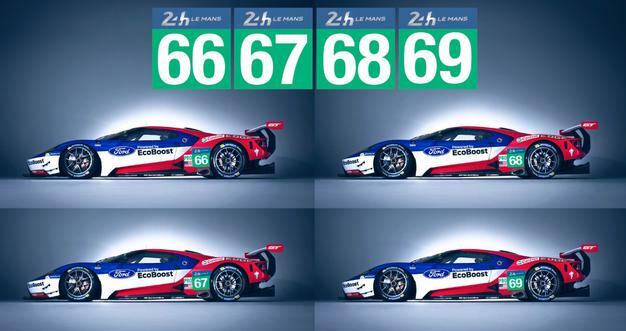 The organisers of the Le Mans 24 Hours, the ACO (Automobile Club de l’Ouest), today confirmed that all four Ford GTs have received a place on the prestigious entry list for the 2016 Le Mans 24 Hours. The Ford GT racing car is based on the all-new Ford GT supercar, which is the pinnacle product of the Ford Performance division. With state-of-the-art aerodynamics, lightweight carbon fibre construction and a powerful and efficient Ford EcoBoost engine, the Ford GT has been built to go head-to-head with the GT establishment – Ferrari, Corvette, Porsche and Aston Martin – as they fight for victory in the ultimate endurance battle. The configuration of the driver line-ups in the WEC cars will be announced at a later date, along with the identities of the third drivers for all four Ford GTs at Le Mans.